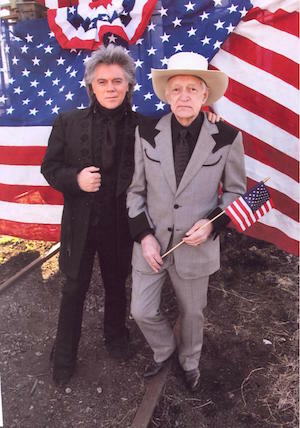 Country entertainer Marty Stuart‘s father, John Richard Stuart, of Smyrna, Tenn., died Thursday, April 9. He was 83. Stuart was born April 5, 1932 to Levi Lincoln and Eddie Lee Stuart of Arlington, Miss. John Stuart married Hilda Annette Johnson in 1952. They have two children, Marty (born 1958) and Jennifer (born 1960). The family has lived in Middle Tennessee since 1974. John Stuart served in the Army from 1953-1955. Throughout his life, he worked as a brick mason and factory supervisor for Chromalox and Whirlpool companies. He is survived by his wife Hilda of Smyrna, Tenn.; his daughter Jennifer of Smyrna, Tenn.; his son Marty and his wife Connie of Hendersonville, Tenn., and brother Ralph of Arlington, Miss. Services are set for Tuesday, April 14 at 2 p.m., at Old Pearl Valley Baptist Church in Arlington, Miss.